It’s National Tortilla Chip Day! Who knew there was such a thing? 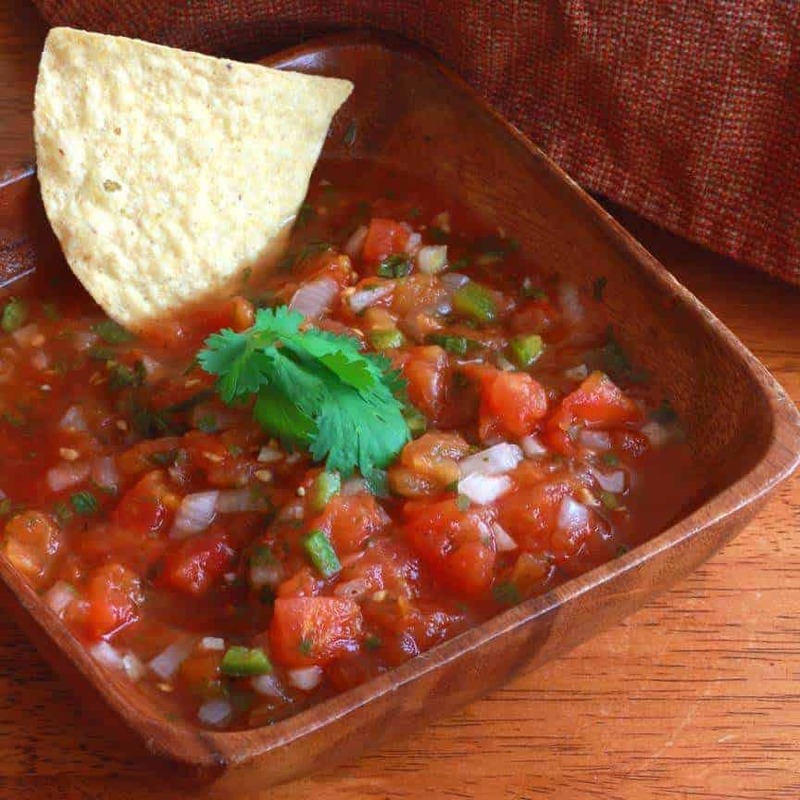 Well there is, and what better way to enjoy the crunchy tortilla chip than with a bowl of homemade salsa? 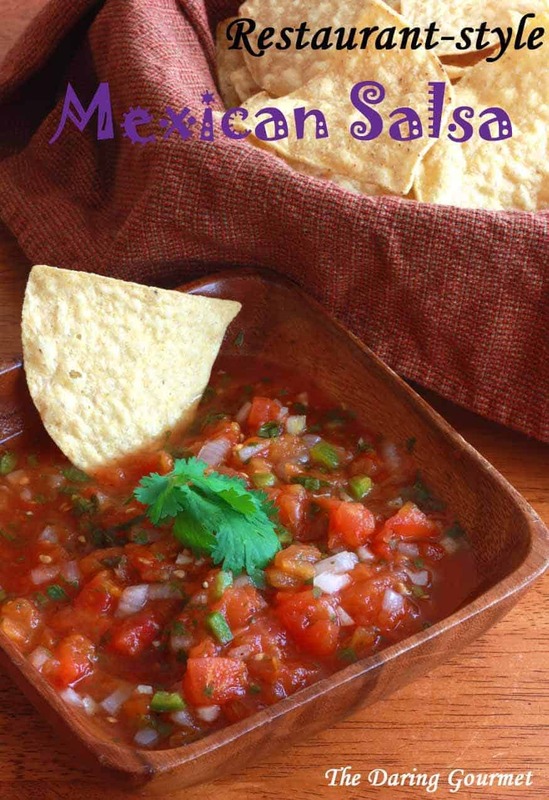 This recipe is ideal for canning so you can always have some salsa on hand for dipping and for any Mexican recipes calling for salsa. 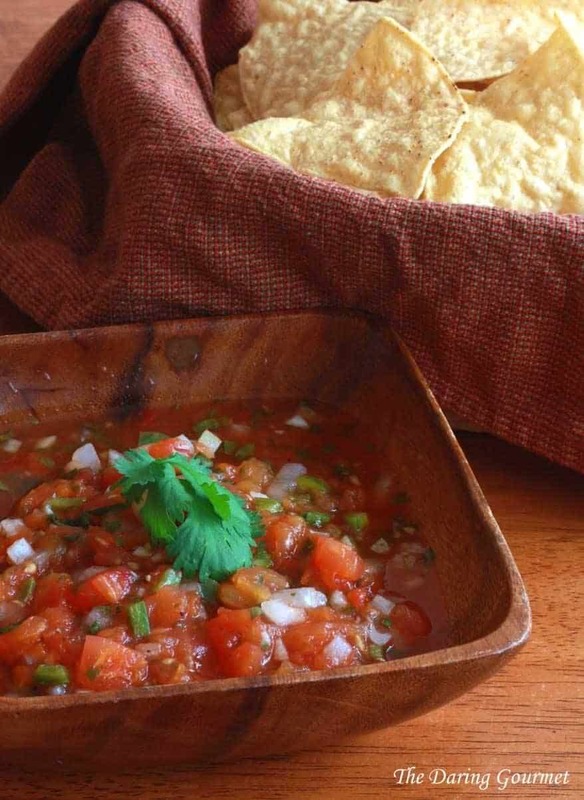 There always a debate as to which kinds of tomatoes are the best for making salsa. 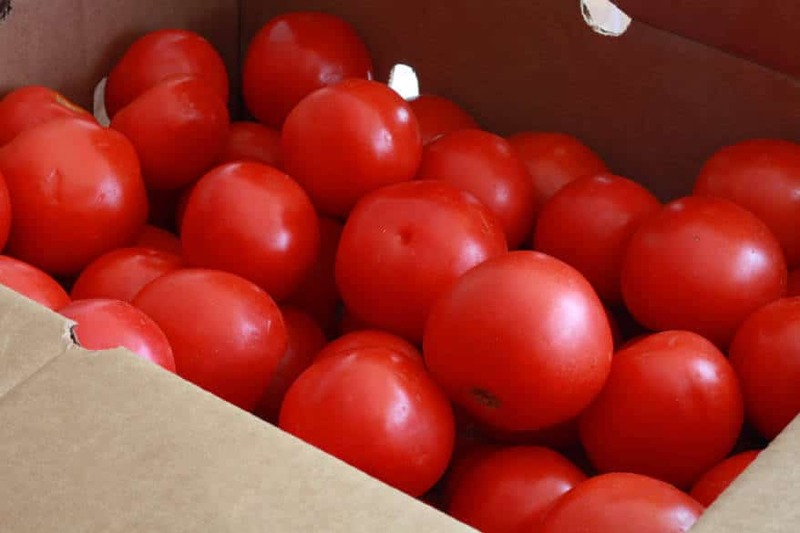 The answer is simply this: The best tomatoes are ripe tomatoes. Whichever ones you can find that have the most flavor. If they happen to have a higher water content, that’s fine. We’ll drain them. 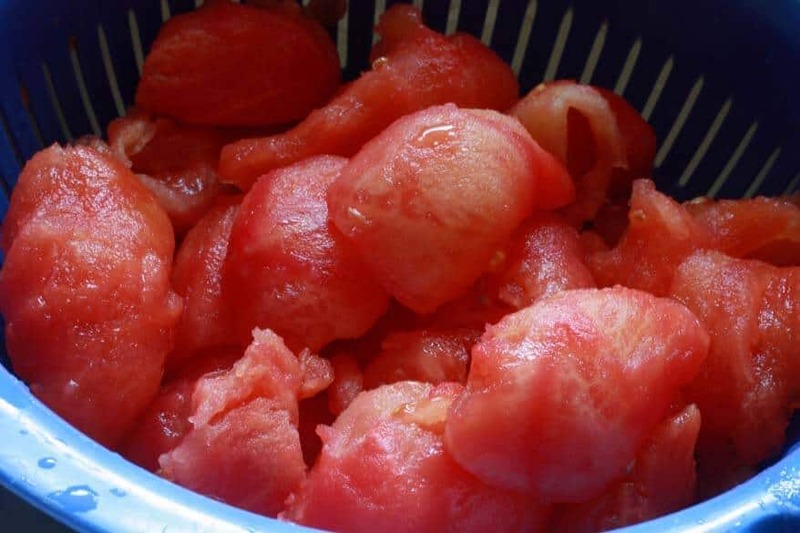 Squeeze the seeds out of each tomato and place the tomatoes in a colander to drain. 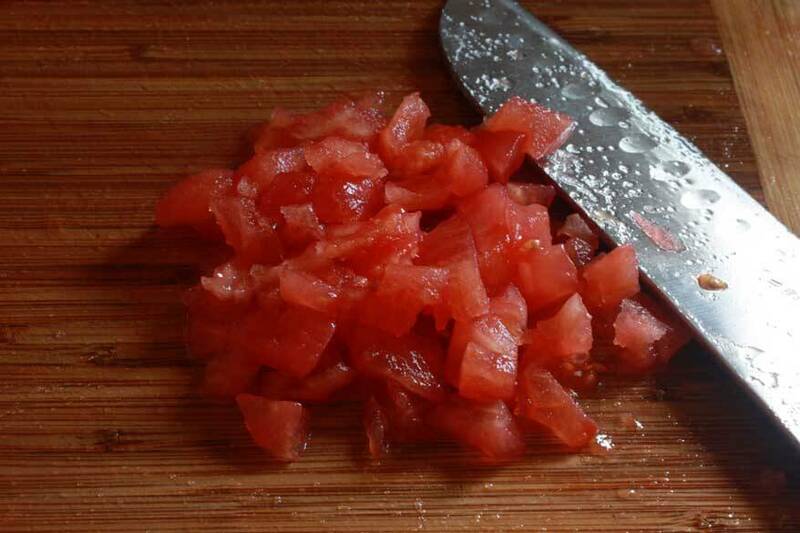 Finely chop the tomatoes. 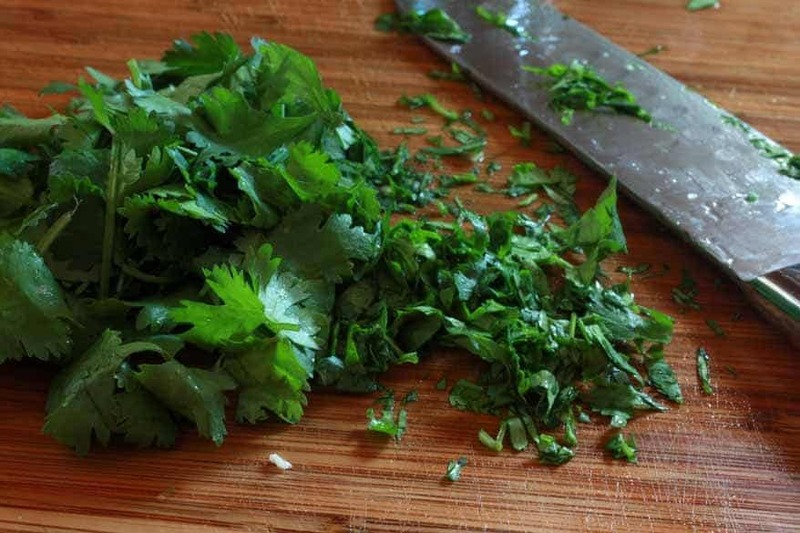 I prefer to do it by hand, but you can also use a food processor. Place the chopped tomatoes in a large stock pot. 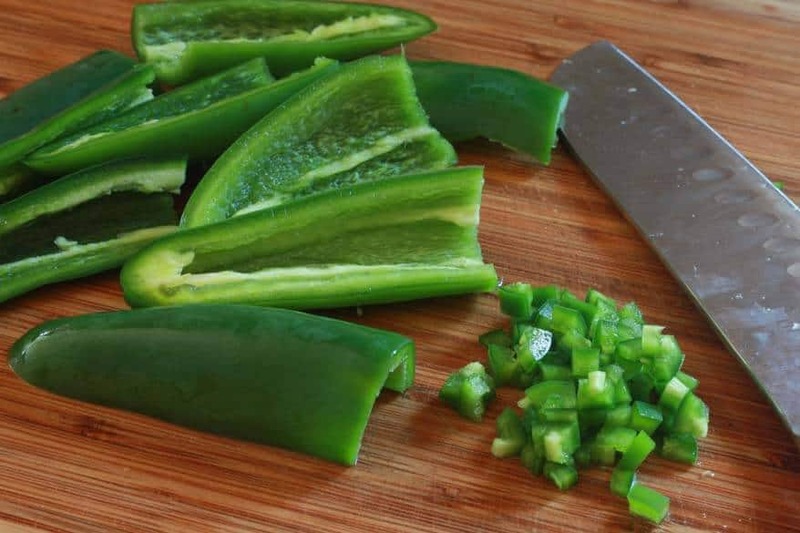 Chop the jalapeno peppers. If you like your salsa hot, leave the white pith/membranes. Contrary to popular belief, it’s not the seeds that are hot, it’s the white pith that surrounds them. It’s always recommended that you use gloves while handling chili peppers. 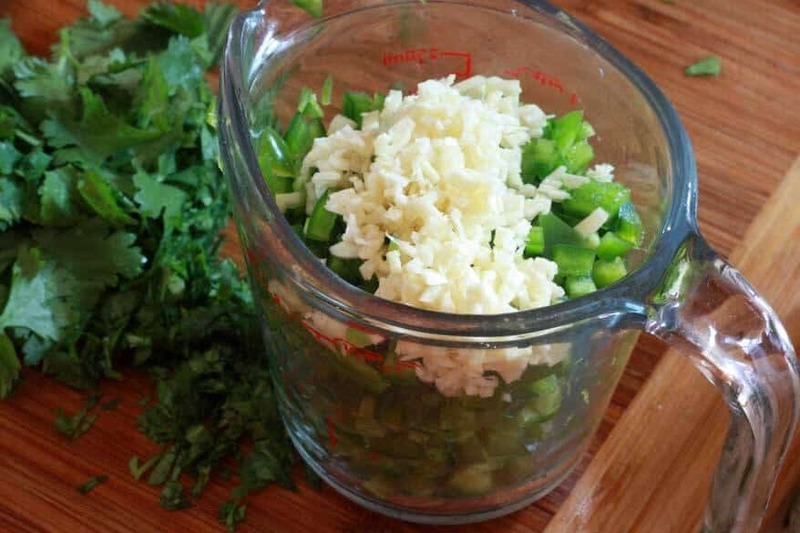 You’ll want about a cup of chopped jalapenos. Add the vinegar to the tomatoes. Stir to combine the ingredients, bring it to a boil, reduce the heat to medium and simmer for 20 minutes. Follow standard canning instructions to sterilize the jars and lids. Ladle the hot salsa into the hot jars, leaving about 1/4 inch head space. Close the lids and place the jars in a boiling water bath for 15 minutes. Remove the jars and let them rest, undisturbed, for 24 hours before moving them. Bring a large pot of water to a rapid boil. 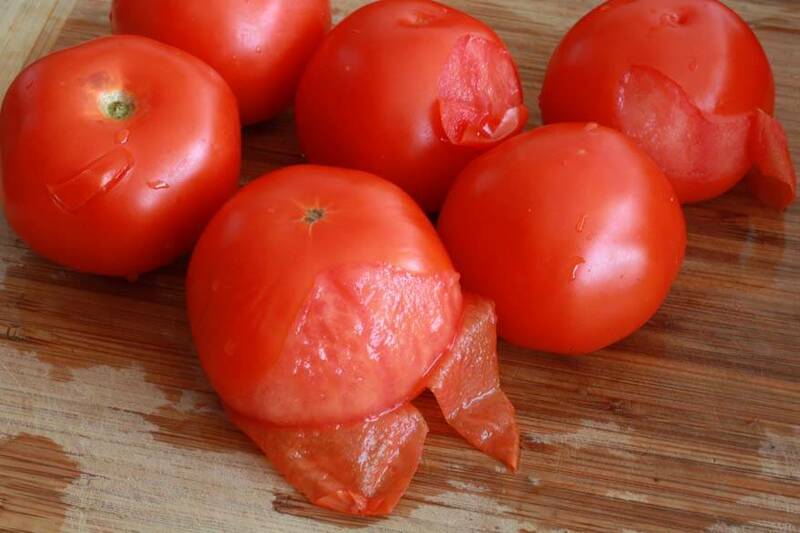 Carefully drop the tomatoes in the boiling water for 30 seconds them remove. Peel the skins and squeeze the seeds to remove them along with excess water. Place the tomatoes in a colander to drain. Chop the tomatoes. 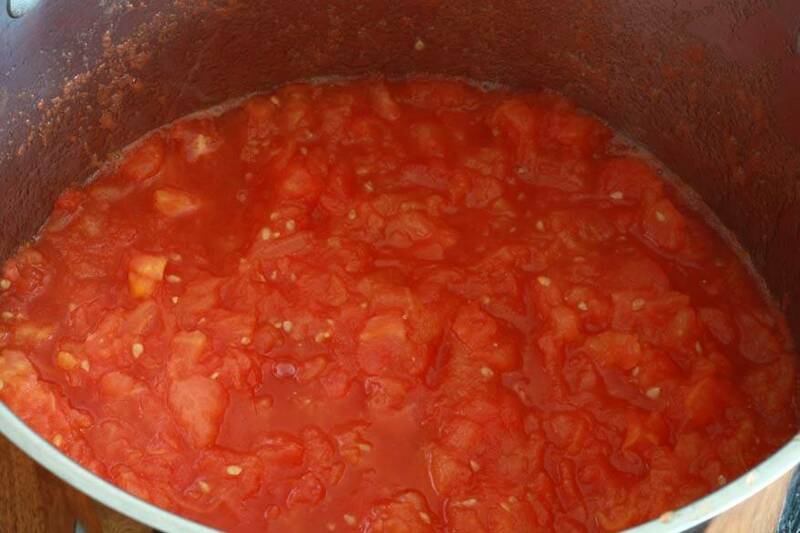 Place the tomatoes in a large stock pot along with the vinegar. Add all remaining ingredients. Stir to combine, bring to a boil, reduce the heat to medium and simmer uncovered for 10 minutes. 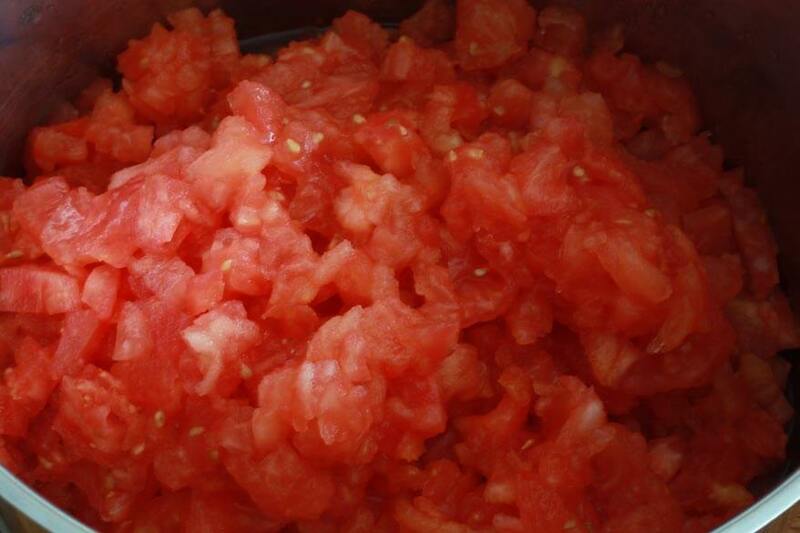 While the salsa is simmering, follow standard canning procedure to sterilize the jars and lids. 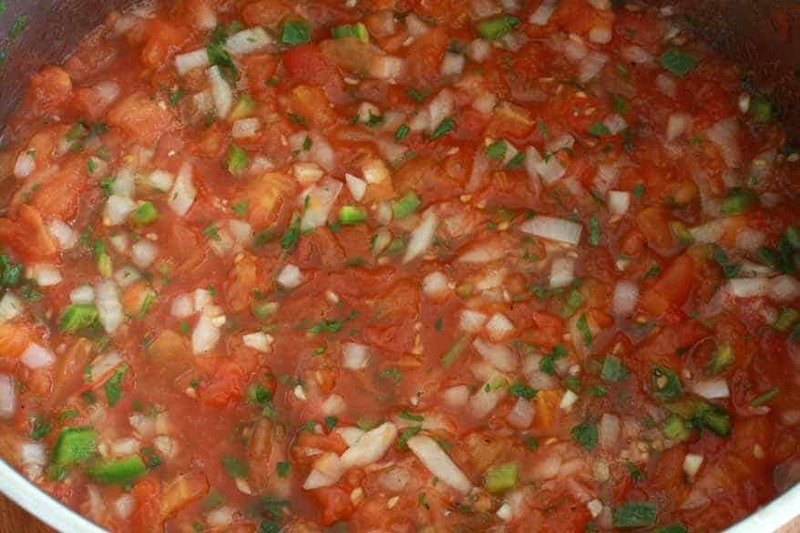 Use a ladle to fill the hot jars with the hot salsa, leaving ¼ inch head space. Close the lids and place the jars in a boiling water bath for 15 minutes. Make sure the jars are fully submerged under water with several inches of water above them. Remove the jars and let them rest undisturbed for 24 hours before moving them. Store in a cool, dark place. 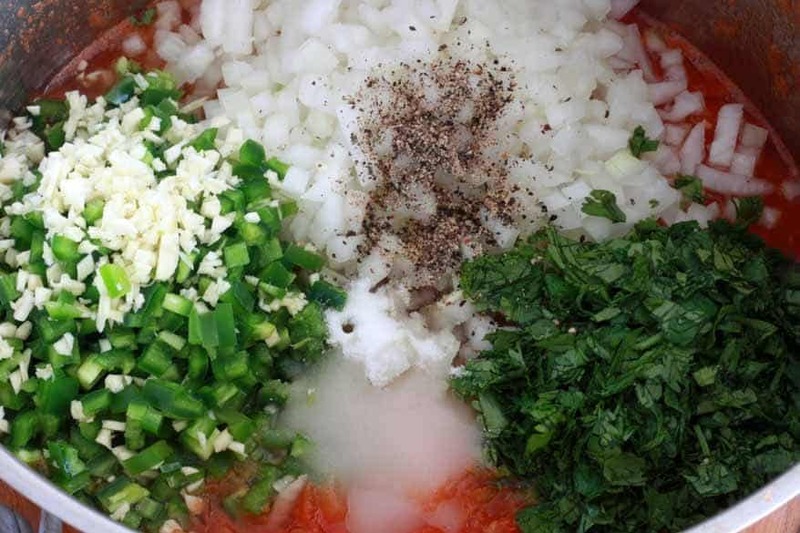 For optimal flavor, use within 6 months but the salsa will keep up to a year. Thank you for sharing that! It seriously makes me feel so much better about attempting to can my own foods. . .botulism has been the only thing holding me back! :) Thanks Kimberly! Hi Jeri Lou! I mentioned that step in the pictured instructions but left it out in the recipe box – it’s now added :) There has been a lot of discussion about canning and bacteria in some of my other canning posts. The fact of the matter is, most bacteria cannot survive or form in an airtight space. Still, it never hurts to take extra precautions. great recipe, have made 2 batches. thanks! Wonderful, thanks so much for your feedback, Trina! This salsa is amazing. Have canned about 16 jars of it with garden tomatoes onions jalapeño and I added 1 red and 1 yellow pepper. Good use of my garden this year. That’s fantastic, Sean, I’m so glad you like it! We’re big fans of it, too, and it’s so gratifying making your own and seeing all those jars stacked in your pantry. Now, if only our garden had been as successful this year…crossing our fingers for next year! I know you need an acid in the ingredients for canning, but I really hate vinegar. Can I substitute lime juice instead and would it be the same amount? Using fresh lime or lemon juice for canning is generally discouraged but you can use the bottled kind, yes. Did you try it with the lime juice? I’m with you, I don’t like vinegary salsa. I tried to make this, this weekend. It came out to sweet and no heat. Any advice on what I did wrong or how to fix this? Wonderful, I’m so glad you enjoyed it, thanks Jill! How many pints do u get out of the recipe? Hi Travis, it makes roughly 5-6 pints of salsa. 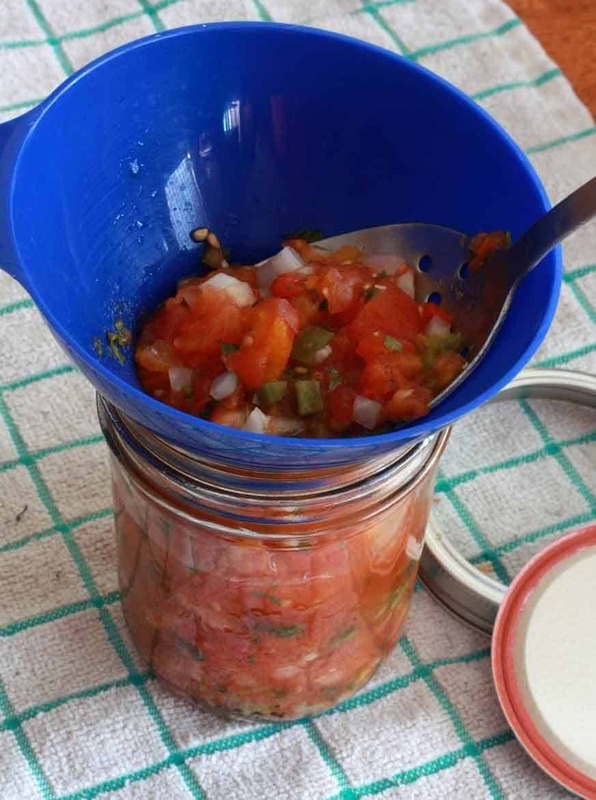 Hi Gina, if you’re not canning it in the water bath for long-term storage and just keeping the fresh salsa in the fridge, it should be used within 5-7 days. Hello, I seem to have missed something. After I add the tomatoes to the pot and pour in the vinegar. There isn’t anything to boil. It’s seems like it’s gonna burn. Please help. Everything is as is should be, Rodrigo. The tomatoes have a ton of water in them that will come out once it starts simmering. Hi Melissa, no you don’t need to boil the salsa very long but I’d recommend at least 5 minutes so the flavors can simmer together and meld. It is incredible fresh! I would have had 20 pints if I could have kept certain people out of my kitchen! I love the freshness even after canning. Bright red color, and crispy! Fantastic, Glenette, thanks so much for sharing! 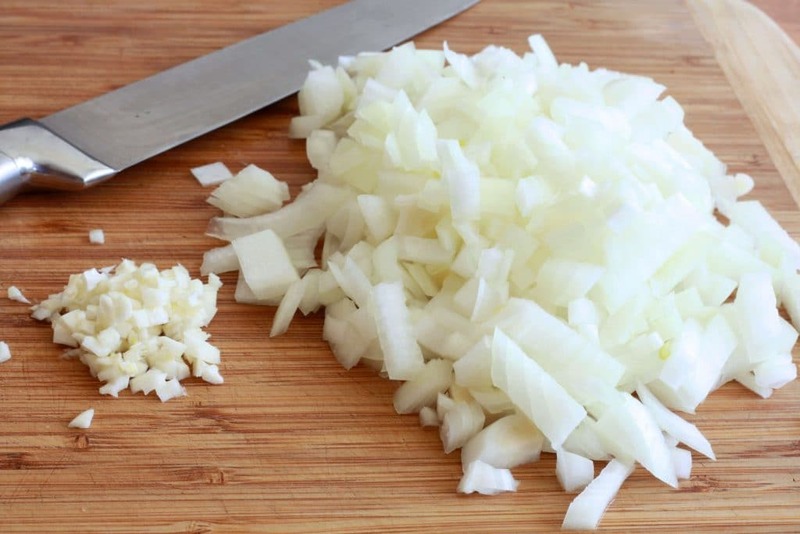 Would it taste bad if I substituted red onions for yellow? Only because that is what I have. Hi Wendy, no, not bad at all. Taste-wise you probably won’t even tell a difference, the biggest difference is just in the appearance. I can’t wait to try this recipe but was wanting to use lime instead of the vinegar. I saw an earlier post stating to use bottled lime juice and not fresh. Is it 1/2 cup of lime juice as well? In researching pH’s, it looks like lime juice is ever more acidic than vinegar. So I’m assuming that it would be at least 1/2 cup then add to taste? Hi Nicole, yes, you can substitute bottled lime juice for the vinegar at the same quantity. Happy salsa making! Oh my goodness, Glenette, you have been BUSY!! That’s incredible, I wish I had 61 jars of this :) Thanks so much for the feedback and happy snacking! I like to add tomatillos to the mix and some Thai chile for an extra kick! Citric acid for acidity with some lime juice for flavor. I do a lot of canning and wish I had more people to give it to. I’m single. 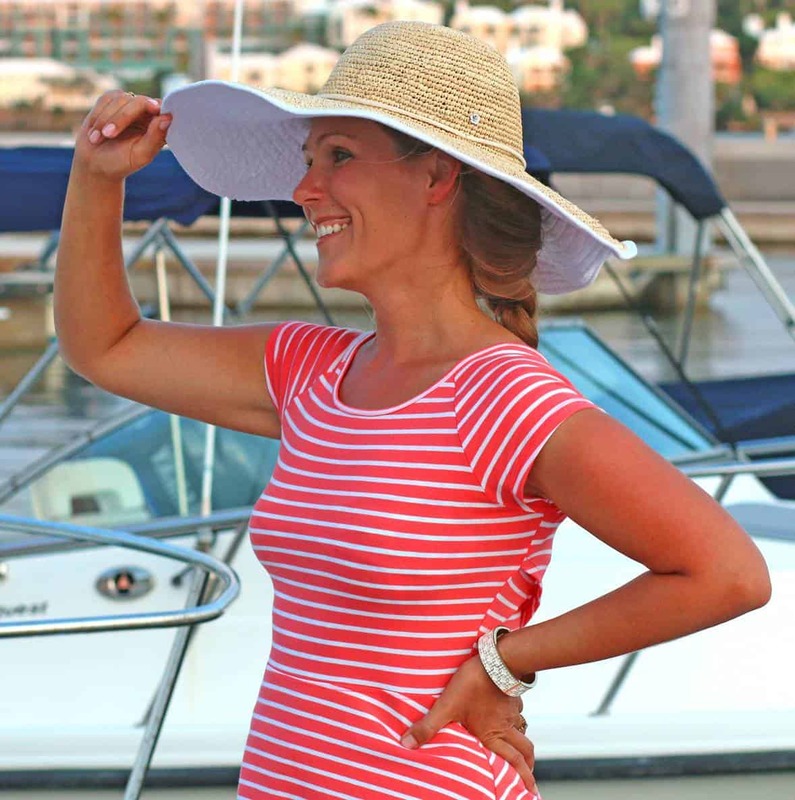 Those are great additions, Pam, thanks for sharing! Going to try this recipe this upcoming weekend and want to 2 or 3 times make more than the recipe says it yields. Can I simply double or tripe the ingredients and keep the pH level in line with being safe? Does changing the pepper types change the acidity levels? Hi Mike, yes, simply double everything, no other alterations needed. Swapping pepper types is perfectly fine. I used homegrown tomatoes. The 8 lbs didn’t equal the 13 cups so I wound up using 12 lbs. I just want to make sure that I’m ok with the acidity. It doesn’t taste quite salty enough so I’m wondering If I used too many tomatoes. They equaled 13 cups when chopped. Hi Carolyn, that should be perfectly fine. For added safety you can add either some citric acid or lemon juice to the bottom of each jar before filling: 1/4 teaspoon citric acid or 1 tablespoon bottled lemon juice per pint-sized jar (double that for quart-sized jars). Fantastic, Bella, thanks for the feedback! Ok so I am in the middle of making this. It’s my first time canning. Boy it is a lengthy process. My filled jars are in the pot being boiled right now. I sure hope this process is worth it all and it tastes good. Hi Tara, adding more sugar, vinegar and lime juice will only make it all the safer, not the less :) Not peeling the tomatoes or removing the seeds is perfectly fine, that’s just a personal preference thing and will not impact the safety. Wonderful, Trynity, I’m so glad everyone enjoyed it, thank you! Awesome, Jen, thank you! I hope you enjoy our other recipes – happy cooking!